I wanted to give an update to our readers on Nightfood (OTC: NGTF). As a follow up to our article released early in the month of January, Nightfood Ice Cream in Production, Ready to Begin National Roll-Out, we gave a close listen to the recent interview conducted with CEO Sean Folkson. The interview is available and there was news about it so you can hear it for yourself. Still, I wanted to share what jumped out to me in the interview. First off, there is no denying that excitement is building around this company. The recent production run video proved to investors that the ice cream rollout is indeed happening and ongoing. The market has taken note as well. NGTF started 2019 around .18 and as of 1/24/19 the price is .30. Folkson stated the company has some big news that they can’t make public at this time, but the announcement will come in less than a month. The interview was conducted on January 11, so that would put us out to Monday February 11 or sooner. 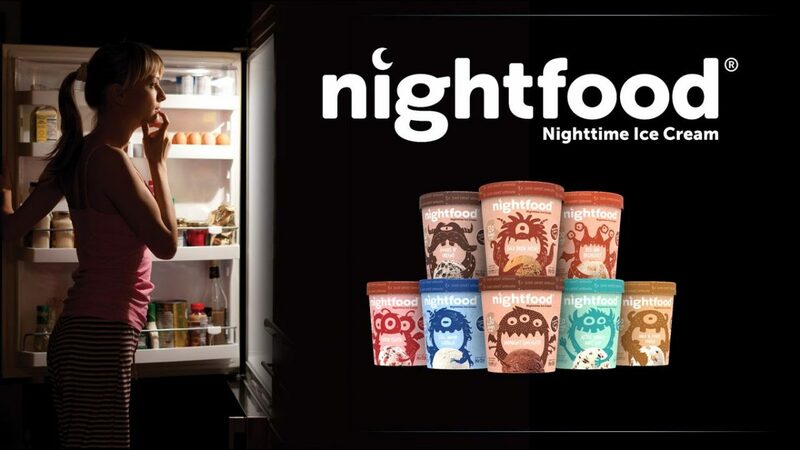 Folkson believes that over the coming months, throughout 2019 and into 2020, for one full annual selling cycle, that Nightfood ice cream will secure distribution in any and every distribution outlet they choose to target. You can hear his confidence and he believes that any chains Nightfood is not in for 2019, they’ll just get there in 2020. Folkson reiterated the Fast Company article which noted that NGTF ice cream is as tasty as Ben & Jerry’s, but with 70% fewer calories, 65% less sugar, more protein and fiber. You get it right? It tastes great, but is better for you. Nightfood as a company has evolved and matured since the initial launch of Nightfood nutrition bars. NGTF has a better understanding of its target market, and how important it is to not force people to switch formats. By targeting the 100M+ Americans ALREADY eating ice cream at night, they have a built-in audience that can easily make the switch. Ice cream consumers are willing to switch as we’ve seen, having created two billion dollar brands out of nowhere in the last 10 – 12 years (Talenti and Halo Top). Folkson dissected the remarkable success of Halo Top ice cream https://halotop.com/ and how in a few short years they went from a start up to a two-billion-dollar valuation in only FOUR years. Once again, Folkson believes that this type of success is attainable for Nightfood because they are the next “better thing” to come along and consumers will gravitate to them. NGTF will rely heavily on social media, influencers both large and small, famous athletes as brand ambassadors, and a team of experts including Sleep Expert Dr. Michael Breus. Learn more about the team assembled here. Speaking of the team, I want to go back to the October 2018 Investor Call Recap PR where Folkson reminded investors that the Nightfood Advisory Board includes the founder of 5-Hour Energy and the former VP of Marketing for Chobani. In addition, Jim Christensen, Nightfood’s VP of Ice Cream Sales, held the same position at ice cream giant Unilever, where he headed up sales and distribution for brands such as Ben & Jerry’s, Klondike, and Breyers. Management believes having these industry experts on board and their experience in growing and managing billion-dollar brands will help with rollout and expected growth from start-up through full national distribution during the next six to twenty-four months. Going back to point two above, it is clear that NGTF is talking to some major chains. Folkson reiterated how the announcements would work. Basically, until the company is actually on the shelves, they cannot disclose the distribution agreement. Still, we should start hearing about the agreements within the next couple of weeks. All in all, the interview covered a ton of territory, but it always comes back to the amazing reality that an estimated 80% of all at-home ice cream consumption takes place shortly before we go to sleep. That never occurred to this author, but, now that I’ve thought about it, it rings 100% true. That an opportunity this massive could be hiding in plain sight for so long is genuinely amazing. Nightfood ice cream is the kind of idea where it’s hard to believe nobody’s ever done it before. But they haven’t. Nightfood is the first, and the immediate future of this innovative young company looks extremely compelling.